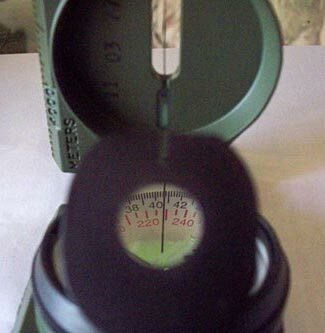 A typical medium quality sighting compass. This is the first part of a two-part article on choosing/buying a compass, the second part talks about compass features, and we’d recommend you read it after this first part so as to have a more complete understanding of what to look for when selecting a compass. These days compasses seem very old-fashioned. If people wish to know which way is north, they can look at their GPS; and if they have a compass at all, it is as likely to be a digital compass as a traditional magnetic compass. Indeed, the prevalence of GPS units has made the underlying entire skillset of map reading and direction finding, and the need to even know where north is, apparently obsolete. You just enter a location into your GPS then follow its arrow to get there. You no longer need to know where you are, or even where your objective is, or what heading to travel along. All that matters is to follow the arrow. Even better still, if you have to make a detour due to some obstacle along the way, the arrow is continually updating and recalculating, always pointing you the most direct way to your objective. But, as wonderful as they are, it is not prudent to rely on modern high-tech devices when planning for a future Level 2 or 3 scenario. It is very likely, in such cases, that the GPS service will be degraded or fail entirely. In addition, sooner or later, the electronics inside your high-tech devices will fail, either a ‘natural/normal’ failure or one perhaps induced by an EMP event; and whatever the cause, you probably don’t have the knowledge – or the spare parts – to repair them when they fail. Maybe it will be something else equally inevitable – at some point, you’ll simply run out of batteries. While modern high-tech devices are subject to all these possible failure conditions, a regular ‘old fashioned’ analog compass is a gloriously low-tech device that is very hard to break, and moderately easy to repair. By all means have a selection of high-tech navigation aids, but ensure you have some compasses too to get you as close as possible to guaranteed availability of navigational aids in the future. Note also that neither GPS units nor digital compasses are very accurate. Our sense is that digital compasses are generally accurate to about 5 degrees at best, and may be much less accurate than that. Never mind that it displays a nice exact seeming number of degrees, the underlying sensor is not all that accurate. GPS units can only show heading data based on the change in location between now and their previous location reading, which, particularly if you are walking or moving at slow speed in a vehicle, embodies errors to do with both the location fixes, and if the distance between the two fixes is small, then the accuracies become a large percentage. As you hopefully already know/realize, when you are stationary, a GPS has no idea which way is north. There are two main purposes for a compass. The first is obvious – for finding your way to your objective when traveling somewhere. The second use you may have for a compass is to assist when locating an object – possibly yourself, or possibly something else. These two purposes place different demands on a compass, and – perhaps surprisingly – in most cases a navigational compass need not be as accurate as a locator type compass – particularly when it is used in conjunction with a detailed map of the area you are traveling through. Indeed, compasses and maps are almost inseparable partners, with both being much more useful when used together with the other. That’s not to say that more accuracy is ever a bad thing, but more accuracy usually is associated with more cost, and an outdoor hiking/backpacking type application for a compass can sometimes result in compass damage or loss (ie by dropping it), so it can make sense, depending on the nature of your travels to sometimes leave the ‘best’ compass at home and stick to using an expendable type compass for outdoor navigation. There are two main types of compass. They both have a needle, and both point to magnetic north. The major difference between them is how you can use them ‘in the field’. 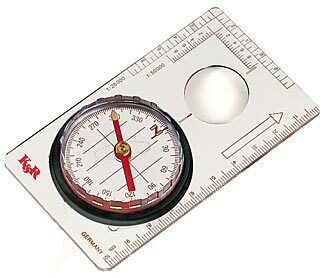 ‘Base plate’ type compasses are designed to be best used on a map. They are flat, with the compass itself usually set into a rectangle with some straight edges and lines which you use to align to the relevant parts of your map. This rectangle is the ‘base plate’ implied by the name of the compass type. There might be scales on the edges to help in map reading, and often the rectangle shape is made out of clear plastic so you can see to the map underneath. This illustration of a K & R Baseplate Compass shows how a typical baseplate compass is designed. 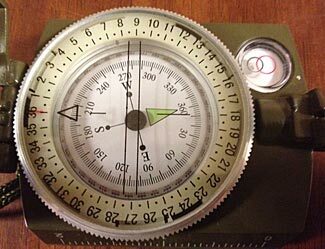 The base plate compass is good for using with a map and working on bearings and headings. But how do you then take that information and use it to work out where to travel, ‘in the field’? That’s where the second type of compass comes into its own. These types of compasses have an arrangement whereby you can simultaneously see a compass reading on the compass and also line it up with an object around you. You sight the compass on an object – maybe a mountain peak, a tree, whatever; and then, without moving yourself or the compass, read the bearing to it from the compass card. Alternatively, if you know you should proceed in a certain direction, you can line your compass up to that direction, then look through the external sighting slot and choose a distant object to proceed towards that will mark your appropriate direction of travel. 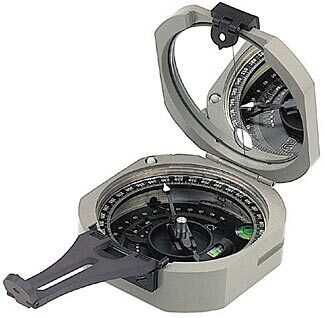 The illustration here gives an example of a Cammenga Model 27CS Olive Drab Lensatic Compass and shows how it can be used to simultaneously display the compass reading and align it to an external object. These compasses are excellent for fieldwork, but not so good to use on a map. 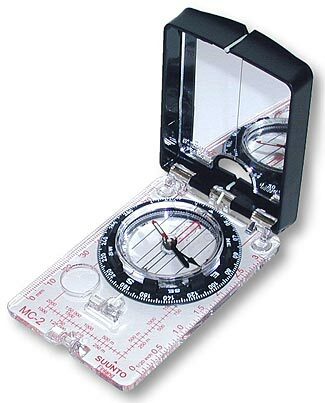 Increasingly, there are good compasses now being sold that can work both on a map and in the field, and for most people, this ‘one size fits all’ design approach makes them a good choice. The illustration shows a high quality Suunto brand hybrid compass. The concept of accuracy is often misunderstood. If you are looking for a direct sighting compass with 1 degree (or better) accuracy, that is quick to use and virtually foolproof, this is the bargain of the decade. Currently, 245 out of 250 people found the review helpful. We are not among them. The review’s claim that the compass has a 1° or better accuracy is total nonsense. The compass scale is only marked in 5° increments, so there’s no way it could be five times (or more!) accurate than its own scale. There are at least four sources of error in reading a compass, and two of those four are independent of the compass itself. The first compass source of error is mechanical. Maybe the needle sticks a bit – chances are you can move the compass very slightly and the needle will follow, it likely needs some force to dislodge it from where it had settled, and maybe it then sticks again before settling at the exact new point. Maybe the needle is not perfectly balanced (indeed, it is probably deliberately not perfectly balanced) and you’re not holding the compass perfectly level, so that makes the heavier end want to drift downwards and scrapes along the bottom of the compass card, or points upwards and scrapes along the top of the viewing glass. Maybe the outside bezel has a bit of slop in it relative to its position to the internal markings. Maybe the sighting posts also have a bit of wobble or have been slightly bent. All these issues can add to the mechanical lack of precision inherent in a compass. The second source of compass error is the precision with which the scale is marked and aligned with the compass needle. Maybe when the markings on the compass card were printed the printing wasn’t exactly aligned. Maybe then the needle isn’t exactly centered in the card. Maybe you’re looking at it on an angle too, introducing further error. Even with these possible error sources minimized, the best case accuracy is probably no more than half of one marking unit. If the compass is marked in ten degree units, maybe you can guess when the needle is halfway and fairly say ‘this is probably about 5 degrees because it is sort of in the middle’ but you know that there’s no way, with only ten degree markings, you could claim with any confidence a degree measurement to within 2 or even 3 degrees, based on the scale errors alone. Now for the two major external sources of errors reading a compass. The first of these is the possible presence of stray magnetic fields or metal that might bias the compass reading. What’s that in your pocket – your cell phone? And on your hip – your pistol? Both of those will impact on the accuracy of your compass reading, as will other metal objects or magnetic fields nearby. The second source of external error is – let’s be as polite about this as we can – you. The person using the compass. Maybe you’re not aligning the compass exactly with whatever bearing point you are taking a bearing from/to. Maybe you didn’t wait for the compass needle to fully settle. Maybe you just misread the number on the compass card. Human error is always potentially present. So how accurate is your compass? As you can see from the four sources of errors discussed above, that really depends on how skillfully you are using it, and how careful you are to search out and eliminate some of the possible error sources. We use a rule of thumb that whatever resolution is shown on an instrument’s scale is probably indicative of what the instrument’s capabilities are. This rule of thumb is sometimes invalidated with digital devices, where it is inexpensive and simple to add extra digits to the digital display, to imply an accuracy that is completely absent. But for analog compasses, it is probably an acceptable rule of thumb to say that most of the time, whatever the resolution on the compass card is will be about the same as the best resolution you can hope to achieve in the field. So the highly rated compass with the claimed 1° of accuracy we started off by citing? With 5° markings, the best you could hope for in a perfect world is 2.5°, and probably, in real life, after allowing for the other three types of errors above, you should consider it to be accurate to about 5°. That’s a great deal less accurate than incorrectly claimed in the review. When buying a compass to help you locate yourself or other objects (ie ‘surveying’ type applications), you should choose one with the most accuracy. This is implied by its marking resolution, and further implied by the size of the compass card (ie the diameter of the compass mechanism), and by it being (or not being) a recognized valued brand name and at variously a high or low price. Yes, you generally get what you pay for, with compasses as with everything else. But if you are simply seeking to navigate from Point A to Point B, and with a map as well as a compass, a less accurate instrument is fine. This is the first of a two-part series on buying compasses. Please visit the second part for a discussion on specific compass features. Brunton make high quality compasses, such as this very fully featured Pocket Transit. This is the second part of a two-part series and you should read both parts for a more complete understanding of issues to do with choosing/buying a compass. In the first part of this Buyer’s Guide to Compasses we discuss the two or three basic design styles/types of compasses, and issues associated with the accuracy you can realistically expect from a compass. In addition to these different types of compasses, there are a number of features that may be present in various forms or absent entirely on each particular model of compass. We discuss the most obvious of these below. The larger the circumference of the compass card, the greater the distance between the degree markers and the more accurately you can use the compass. There’s not a lot of variation in compass size, but where there is a difference, the bigger it is, the better it is. This is a slightly subjective feature, and hard to evaluate on a brand new compass. But a better made compass will stay more accurate for longer, and won’t have parts come loose and start to wobble and wiggle. Any movements in any of the parts that are used to align the compass will of course detract from the compass’ ongoing accuracy. A better built compass will also be more robust and resilient such that you can occasionally drop it or otherwise treat it in a less than perfect manner, and still function. A better built compass will also be operable over a broader range of temperatures. Particularly if the compass is liquid filled, there will be a temperature at which the liquid will freeze, and somewhere above that temperature is the lowest temperature the compass will work happily at. Compasses point (sort of) to the magnetic north pole. Unfortunately, this is not the same location as the north pole used by map makers and which most grid reference systems are based upon. We’ll spare you the geometry of it, but the net result is that to switch from your compass’ reading of magnetic north to true north, you need to add or subtract an adjustment to compensate for the difference between the magnetic and true pole. This adjustment is termed the declination. Compensating for declination is, on the face of it easy, but few things in life are truly easy, and there are three things to consider. The first thing, which confuses many inexperienced navigators, is that sometimes you have to add and sometimes you have to subtract the declination from the magnetic (or true) degrees indicated. Knowing when to add or subtract can be quite taxing of your brain, particularly in a high stress environment (which reminds us of the really big problem some people have with compasses – mistaking the north and south ends of the needle!). The second challenge with declination is that it is not the same everywhere. It changes as you move around. For example, at present, in Coeur d’Alene, ID, the declination is +15°1′. Go east to Billings, MT, and the declination is +11°11′. Go southeast to Cheyenne, WY and the declination now is +8°44′. That’s a lot of change in not much area. You can ignore declination changes over short distances (for example, the 140 miles, as the crow flies, between Coeur d’Alene and Missoula, MT has the declination change from +15°1′ to +13°52′ – a change of a relatively minor 1°9′. And the further south you get, the less the rate of declination change. The third challenge is that the magnetic north pole is moving. It isn’t fixed. It is moving – and at an accelerating rate, currently of about 25 miles a year. In the American Redoubt region, that translates to a reduction of declination by about 9 minutes every year at present. Anyway, now that you know more than you ever want to know about declination, back to the simple point. Some compasses allow you to automatically build in a correcting factor for declination. This is a very valuable feature, and saves you needing to struggle to remember if you should be adding or subtracting at any given time and situation. You probably already know that there are 360 degrees in a circle. Most compasses are calibrated in degrees accordingly, with 0° (or 360°) being at the ‘top’ for North, and so on. There are other scales for angular measurement as well as degrees, however. There is a metric measurement, the ‘grad’ which is happily almost never used (there are 400 grads in a circle – about as stupid a number as 360, really). But the one you are more likely to come across is the ‘mil’. This is a subdivision of a radian (there are 2π radians in a circle – about 6.283, a number which seems awkward, but which has some benefits in geometry). There are 1000 mils in a radian, or 6283 mils in a circle. Just to make this simultaneously simpler and more complicated, the 6283 mils are often rounded up to 6400 (why not 6300?) in this country, but in some other countries, may be rounded down to 6000. There are 17.8 mils in one degree. The use of the mil measurement has one useful feature – it helps you when estimating distances or sizes. If you know the size of something, you can tell its distance by the number of mils in size it appears to be. Or if you know the distance to something, you can tell its size the same way. The way it works is that if an object is x mils wide, and 1,000 units of distance away from you, then that object is actually x units distance wide. For example, a 2 mil wide object that is 1500 yards away would be 2 x (1500/1000) yard wide – in this example, 3 yards wide. You can also use this for estimating distances. For example, if you say that a typical man is 6′ tall, then if he is filling 12 mils, he would be 500 feet away. If 6 mils, he’d be 1,000 ft, and if 3 mils, he’d be 2,000 ft away. That’s why many rifle scopes have mil markings on them. Or if you saw two mountain peaks in the distance and wondered how far away they were, and your map showed them to be 1 mile apart, and they registered as 100 mils apart on your compass, that would tell you they were 10 miles away. A compass with both mil and degree markings is perhaps slightly better than one with only degrees, but unless you have a use for the mil calibration, your first priority should be to get the best possible compass with degree markings. In addition to working out distance/size from mil angles, some compasses also have quick tables of degree angles subtended vs distance/size that you can use as rules of thumb, conveniently printed on them. There are plenty of situations where you might be using your compass in low/no light conditions, and if the compass had either a tritium self-illuminated dial or a phosphor coating that would ‘soak up’ some light, eg from a flashlight, then give it off again for some minutes or longer, that might be very helpful. A phosphor coating of course requires you to have some other light-source to activate it, although it is probably reasonable to assume that you would indeed have a flashlight with you. The tritium coated compasses are nice, but tritium has ‘only’ an 11 year half-life. In other words, in a decade, it will only be glowing half as bright as when you bought it; in two decades, one quarter as bright; and in three decades, one eighth as bright. We’re not saying you must get some type of self-illuminated markings on your compass, but if the price isn’t much more, it might be nice to have them. Better compasses have some type of liquid in the compass housing. This damps the needle’s movement and protects it some from shock as well. If you are looking at a compass that is not liquid filled, you are probably not looking at a good quality compass. In most cases, the more level your compass, the more accurate your reading will be. Accordingly, some compasses have a bubble level somewhere that allows you to check how level your compass is. This might be in the form of a bubble in the liquid that fills the compass housing (assuming the top of the housing is then slightly curved) or it might be a separate liquid bubble level to one side. Clearly, this is a good extra feature to have. The needle in your compass ideally wants to point more or less directly to the magnetic north pole, following the line of force that flows between the earth’s north and south magnetic poles. Near the equator, those force lines are pretty much parallel to the earth’s surface, but as you get closer to the magnetic pole, the force lines are curving inwards and downwards (or outwards and upwards) and so the needle wants to go off-center, off-balance. This would interfere with its free swinging on its mounting point, and so compass needles are typically made unbalanced, with a compensating weight on one side or the other of the needle’s center, so as to adjust for the magnetic force lines wanting to force the needle up or down. This means that a compass made for eg North America would not work so well in eg South America, because the balance correction swaps. Some compasses have a clever mounting mechanism for the magnet separate from the indicating needle which makes it less sensitive to the shift in direction of the lines of magnetic force. This is useful not only for the international traveler, but also for everyone, everywhere, because a related benefit is that the compass doesn’t need to be held quite so exactly level in order for an accurate reading to be obtained. Of course, these features all have costs associated with them, and remember from the first part of this compass buying guide, compasses don’t always need to be ultra precise. The more accurate that compasses are, the better they will assist you with tasks such as locating a buried cache on your property or surveying work in general, but even a much less accurate compass can help keep you situationally aware when traveling through unfamiliar territory. We find that Amazon has a good range of well priced compasses available. There are also specialty compass stores online, and your favorite outdoor retail store probably has a range of compasses that you can actually hold and physically choose from too. Please note this is the second part of a two-part article about choosing a compass. Please also visit the first part to understand about the two major types of compass design and issues to do with compass accuracy. The Ultimate Vehicles For Your Retreat? 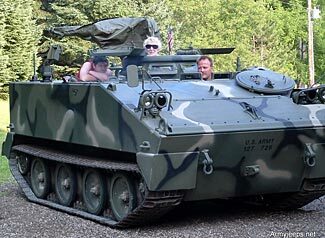 Fun for all the family with your own M/T-114 armored personnel carrier – this one costs $74,000. If you found yourself suddenly gifted with several million dollars, and assuming you had some left over after spending money on all the usual things, maybe you might choose to treat yourself to a really neat vehicle to stick in your retreat’s garage. The issue of successfully defending your retreat against armed attackers post-WTSHTF is one of considerable debate. 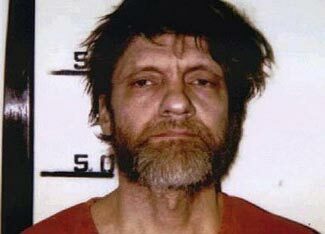 Some people choose to ignore the issue entirely, and claim they have no need for serious preparations and defenses, either because their retreat is well hidden, or because they are in a region with plenty of like-minded folks, or because they don’t believe that people would actually come after them and attempt to steal from them by force (and – we fear – do much worse than that too). We’re not going to re-debate those points. We’ve discussed them before, and might again in the future, and suffice it to say for now that we feel it an essential component of the prepping mindset to consider not just best case but also worst case scenarios, and to prepare (within reason) for both. What sort of prepper allows themselves to be caught out by something that they say weakly in excuse about ‘Oh, gosh, we didn’t think that was likely to happen’? Isn’t prepping all about preparing for less likely things which, if they do happen, will seriously destroy our lives and our lifestyles? This article is simply looking at some unusual types of defensive vehicles. And, yes, clearly these ‘defensive’ vehicles could be used just as well by someone else as an offensive vehicle – to bring the battle directly to your front door. That thought of course begs the difficult question – what would you do if a bad guy turned up on your doorstep in a tank? Unfortunately, that’s a far from impossible scenario (depending on how close your retreat is to a base with armored vehicles on it at present). When the rule of law crumbles, there will be many thousands of tanks and other armored vehicles on bases around the country that will be liable to being ‘repurposed’ by people with evil intent. We can only hope they run out of fuel (or ammo and/or spare parts) for their armored vehicles before they reach your retreat. But what about the lawful availability of armored vehicles, today? Did you know there’s a reasonably extensive market that trades in older armored military vehicles. Of course, the main guns have usually been ‘de-milled’ and made inoperable and close to impossible to repair back to working order, but as a secure platform that would resist small arms fire up to and probably including the .50 BMG round, they are very interesting. Some of the older vehicles also have fully analog type engines that are probably about as sure to survive an EMP attack as anything out there. Of course, a heavy armored vehicle is going to give very bad gas mileage, and so you don’t want to use it as a daily driver. Tracked vehicles can also be very maintenance intensive. But as the ultimate all-weather and all-terrain vehicle that you can use hopefully in almost any type of weather and ground condition, and with a secure protected compartment that you can either escape within or fight from, an armored vehicle gives you a new level of tactical options that hopefully the bad guys ranged against you can’t match. Remember that not all tracked vehicles are armored, and of course, general purpose ‘military’ trucks and other vehicles are probably not armored either. And not everything with impressive looking tracks or really big wheels will manage to proceed in deep soft snow or bottomless mud. There are a number of different national sources of military vehicles. Ebay Motors has a section for military vehicles. Here’s another website that features online classified ads (and interesting magazines too). Let’s not forget our own government – they sell off just about everything imaginable, including through this site. Perhaps the best site for armored vehicles is this one. 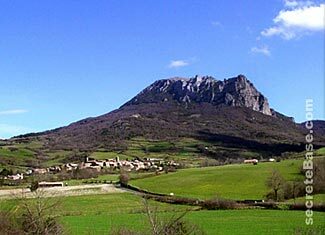 In addition, who knows what you mightn’t find locally as well. Ask around, do some Googling, and the chances are, if you want to indulge yourself in such a vehicle, there’ll be exactly what you’re looking for, somewhere in the country, and priced from the low tens of thousands up to the middling hundreds of thousands, depending of course on all the usual things such as market appeal, practicality, and condition. I got an offer via email today – the online store US Cavalry, full of good stuff for preppers and non-preppers alike, is offering a 15% across the board discount from now through 17 November 2012 on all orders of $29 or greater. Update : I’ve a new coupon from them. The code is R12B15Q and it is again a 15% discount, apparently with no order minimum, and good through 30 Nov 2012. I’ve bought gear from US Cavalry on several occasions, and indeed have some items currently on back-order that I’m eagerly awaiting. They seem to be a fair and good company to work with, and their pricing is similar to competing stores, as best I can tell, so when you take a 15% discount off, the pricing becomes very appealing.